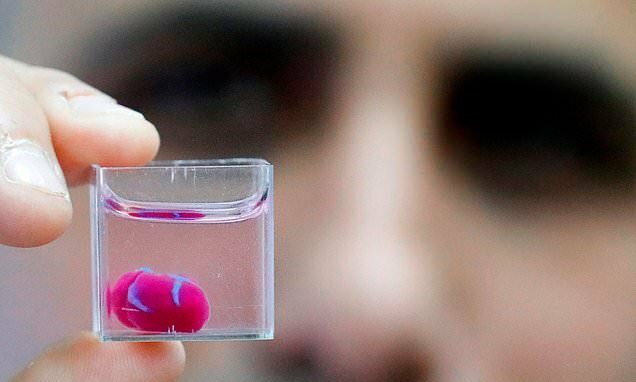 Although the organ is only the size of a cherry and cannot pump blood, experts said its creation is a ‘major medical breakthrough’. 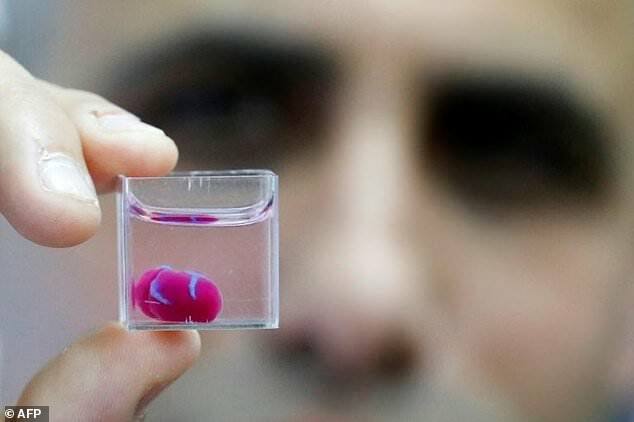 And he added it is ‘the first time anyone anywhere has successfully engineered and printed an entire heart replete with cells, blood vessels, ventricles and chambers’. 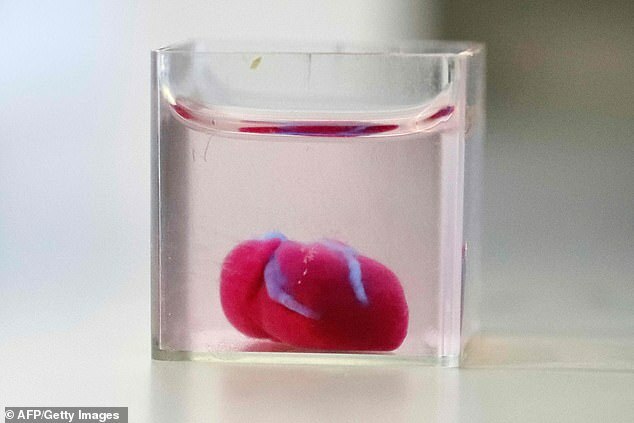 The organ is about the size of a rabbit’s heart and can contract like a muscle but can not do a full pumping motion. 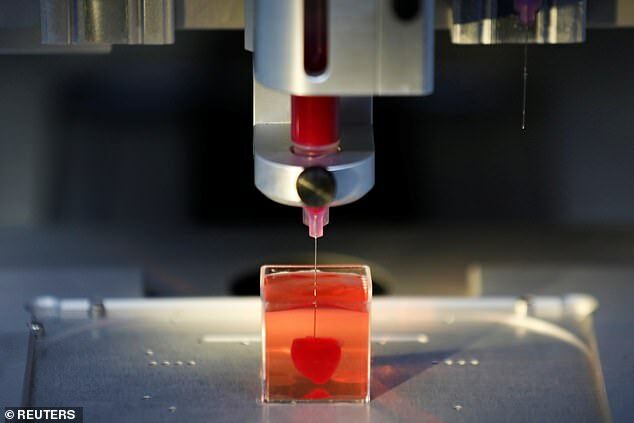 ‘Maybe, in 10 years, there will be organ printers in the finest hospitals around the world, and these procedures will be conducted routinely,’ said Professor Dvir. 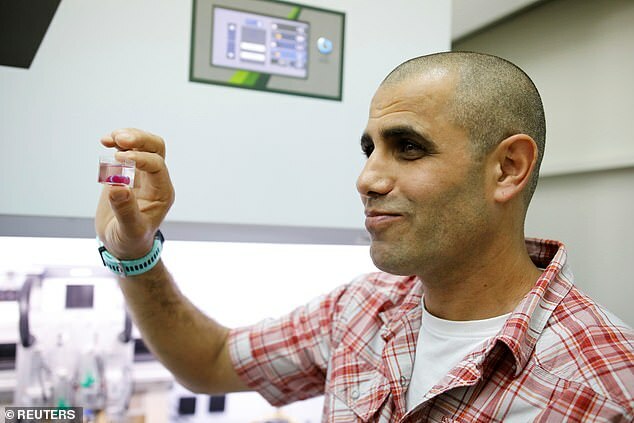 The next stages of the Israeli team’s research will be trying to teach the 3D-printed hearts to beat like living ones. 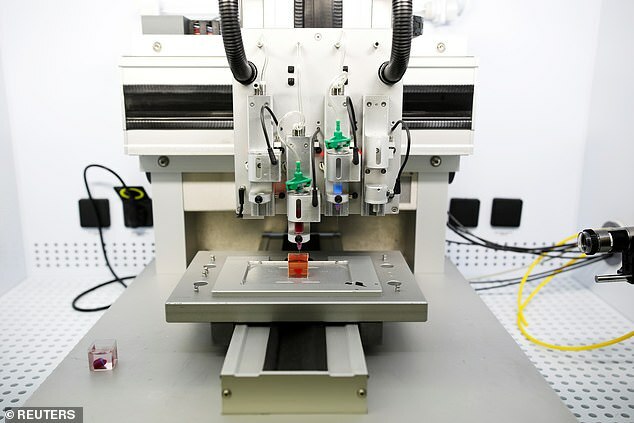 Stem cells taken from a patient are plugged into the device and used to generate three sheets composed of proteins including fibrin – which helps to heal wounds, and collagen.